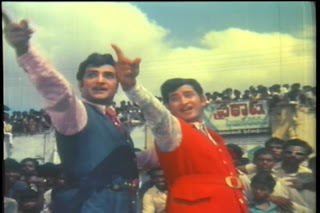 Trivia: NTR and ANR done this film together after 14 years gap. Last time they acted in 'Sri Krishnarjuna Yuddham'. Actually NTR wanted to do Chanakya role. But he sacrificed it for ANR. Trivia: NTR done this film with seven years gap as an actor. 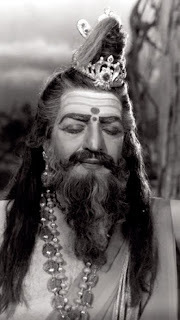 He was the first chief minister in India, who acted in films. lyricist for the Hindi version also. This film failed at the box-office. NTR made a hindi version also, but it didn't see the world. 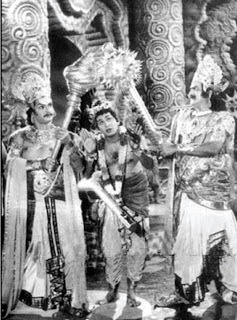 Trivia: NTR done three roles.. Srikrishna, Rama and Ravana. This film won Nandi Award for Best Feature Film from Government of Andhra Pradesh. 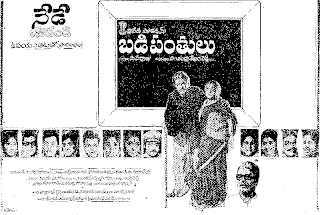 This was KV Reddy's last film as a director. 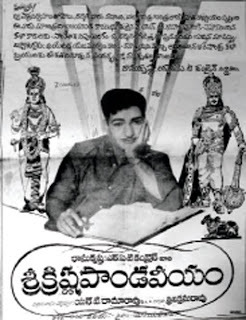 This was the first complete colour film of NTR's home production. Actually NTR was supposed do direction of this film. 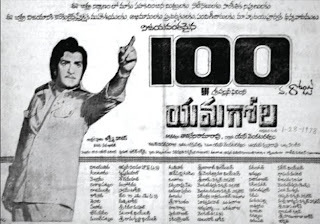 When KV Reddy requested NTR for financial help for his children's education, then NTR asked him to take up the direction of this movie and given advance immediately. 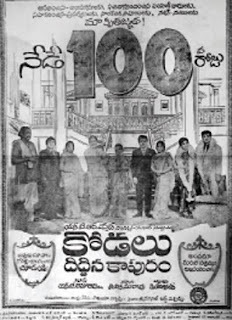 It had a 100-day run in 7 centers. 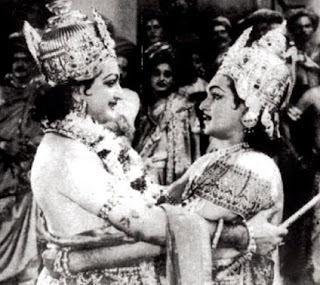 Trivia: NTR was seen in Yama get-up first time on the screen in 'Sati Savitri' drama in this film. This film had a 100-day run in 17 centers and biggest hit of the year. 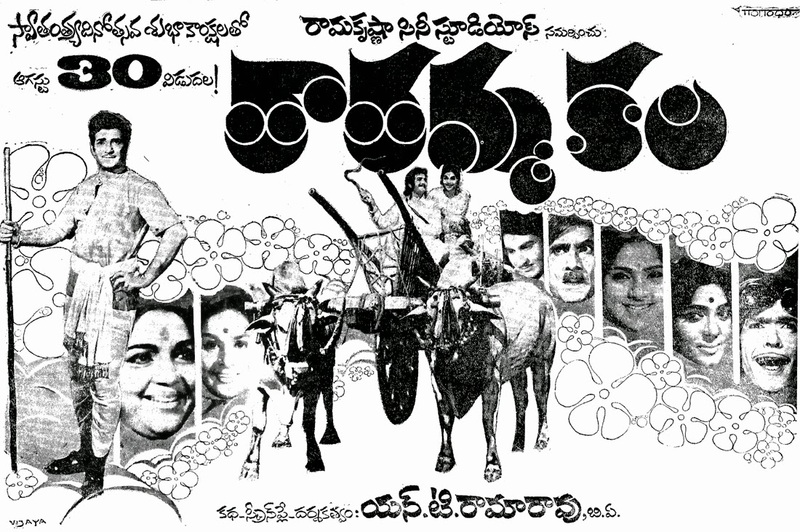 This film celebrated Silver Jubilee and ran for 197 days at Durga Kala Mandir, Vijayawada. The film was selected for screening at Moscow Film Festival. Trivia: It had a 100-day run in 9 centers. 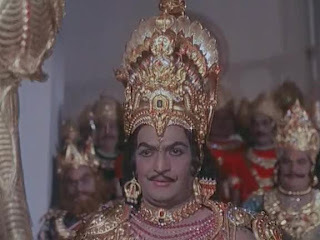 NTR done dual role as Srikrishna and Duryodhana. Actress Bharathi introduced with this film in a cameo role as a dancer in the song 'swagatham suswagatham'. 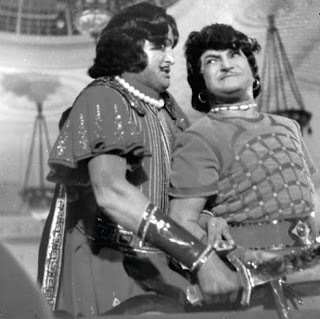 Trivia: It was the remake of Tamil hit film 'Bagapirivinai', starred by Sivaji Ganeshan and B. Saroja Devi. 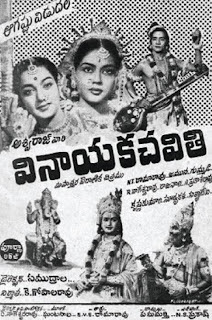 This was first remake film of NTR from other language. 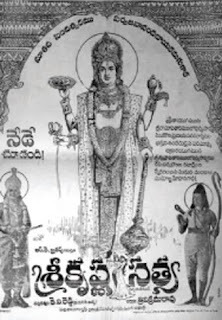 NTR portrayed as a physically handicapped person. Banner: Ponnaluru Brothers (P) Ltd.
Trivia: This film had only one day run. Trivia: This film based on Rabindranath Tagore's novel 'The Wreck'. 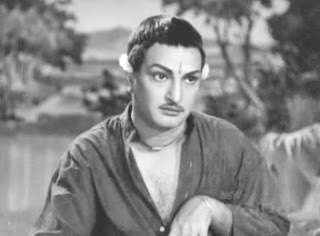 NTR seen in Srirama get-up first time on the silver screen with this film. 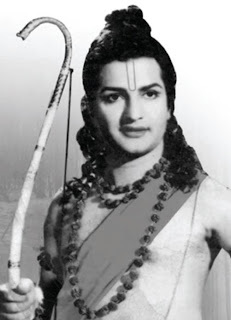 Trivia: NTR played three roles.. Srikrishna, Duryodhana and Karna. 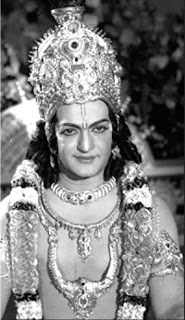 NTR's sons Harikrishna played the role Arjuna, and Balakrishna seen as his son Abhimanyu. 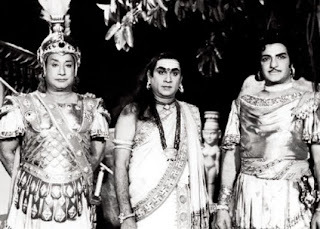 The film was completed in 43 working days which was record, given that each of the three characters of NTR took at least three hours to put the makeup and two hours to remove it. 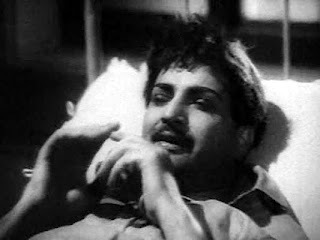 NTR never used to see the rushes before the release, and thus they edited the film within days, without seeing the rushes.